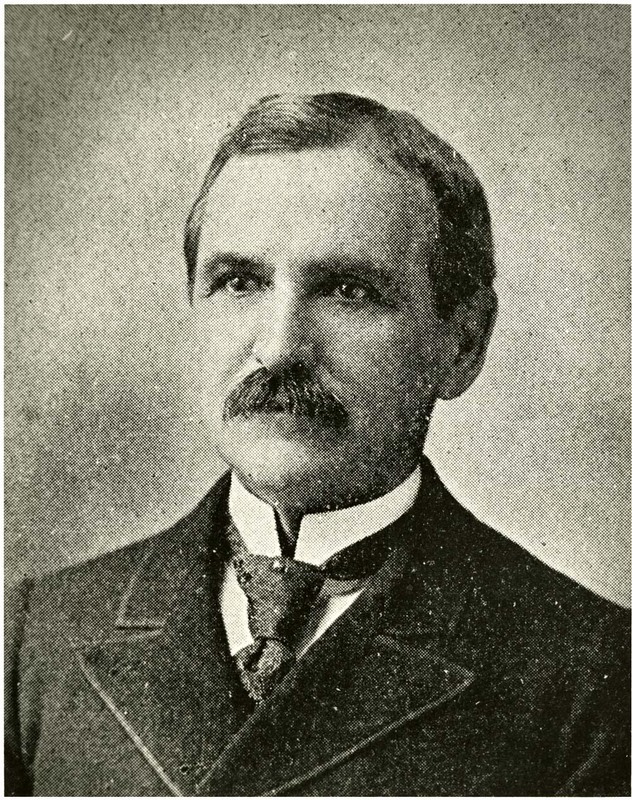 Morrison A. Holmes (principal 1886-1907), Charleston, South Carolina, courtesy of the Avery Research Center. Holmes served as the principal of Avery from 1886 to 1907. He brought various prominent Black leaders to the school, including Kelly Miller, a South Carolina native who became the Dean of Howard University's College of Arts and Sciences, and Francis James Grimké, a Charleston native who became one of the founders of the National Association for the Advancement of Colored People (NAACP). After Francis Cardozo stepped down in 1868, the AMA appointed a series of white Northern principals to head the Avery Normal Institute. The most notable of these principals was Morrison A. Holmes, who directed the school from 1886 until his death in 1907. Originally from Lee, Massachusetts, Holmes took charge of Avery shortly after Charleston’s massive 1886 earthquake caused damage to the buildings and temporarily closed the school. The school’s faculty in the nineteenth century consisted of both local African American teachers and white Northern missionaries. For students, social divisions in Charleston’s Black communities engendered by slavery—such as distinctions based on skin color, antebellum free status, and wealth—continued to influence their experiences at Avery. 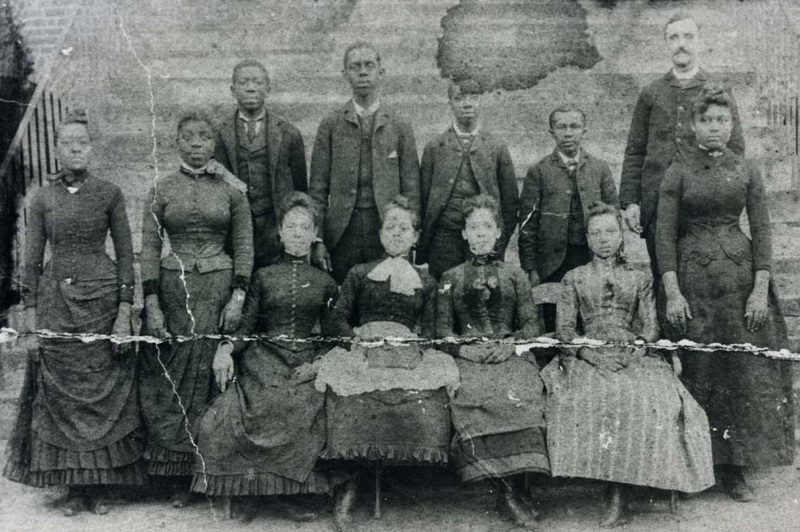 In the 1860s, a significant percentage of Avery’s students came from families who had been free people of color before the Civil War. In contrast, at other local Black schools established by Northern missionaries, such as the Shaw Memorial School, the overwhelming majority of students came from families who had been enslaved. This led to an elitist reputation for Averyites, though social divisions within Charleston’s Black communities continued to evolve with the end of Reconstruction and the establishment of Jim Crow segregation in the late nineteenth and early twentieth centuries. During this time, white leaders disfranchised Black men and implemented segregation laws and customs throughout the U.S. South that classified all Black citizens, regardless of status, into one marginalized racial category. Throughout these political and social changes, Avery’s mission to provide professional education to Black Charlestonians remained constant. This goal reflected principles later associated with the prominent activist and author W. E. B. Du Bois, who asserted that a "Talented Tenth" of college-trained, politically engaged, and socially responsible Black leaders would champion the cause for racial equality and full citizenship. Avery’s students often pursued careers that had a profound impact on Black education in the Lowcountry. In 1900, a survey of Avery’s four hundred graduates revealed that two-thirds had become schoolteachers. By the twentieth century, in response to ongoing racial discrimination, many Averyites expanded their philosophy of social uplift through education to include collective grassroots activism. Early class photo at the Avery Normal Institute, Charleston, South Carolina, ca. 1880s, courtesy of the Avery Research Center.